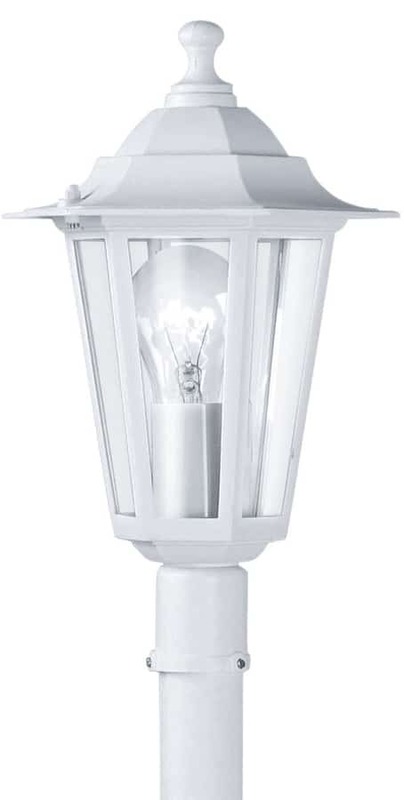 From the Laterna 5 outdoor lighting range. 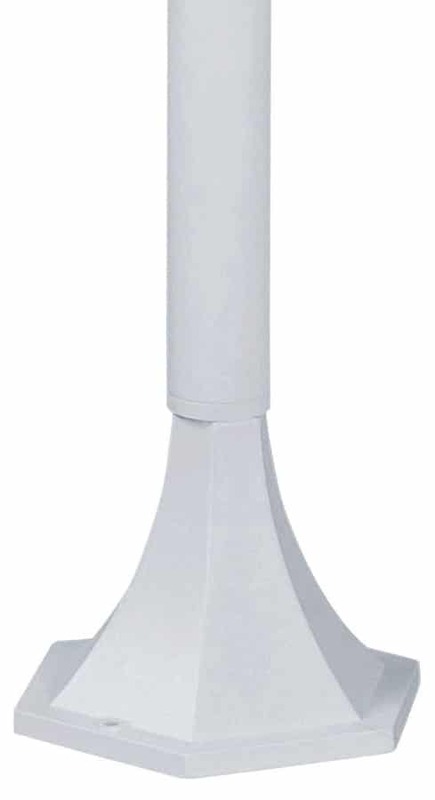 Traditional white finish half height short outdoor lamp post, with a single lantern head mounted directly on to a plain central stem. Base diameter 170mm. An IP33 rated traditional post light constructed from powder coated cast aluminium with a three year finish guarantee. Will accept a low energy light bulb.